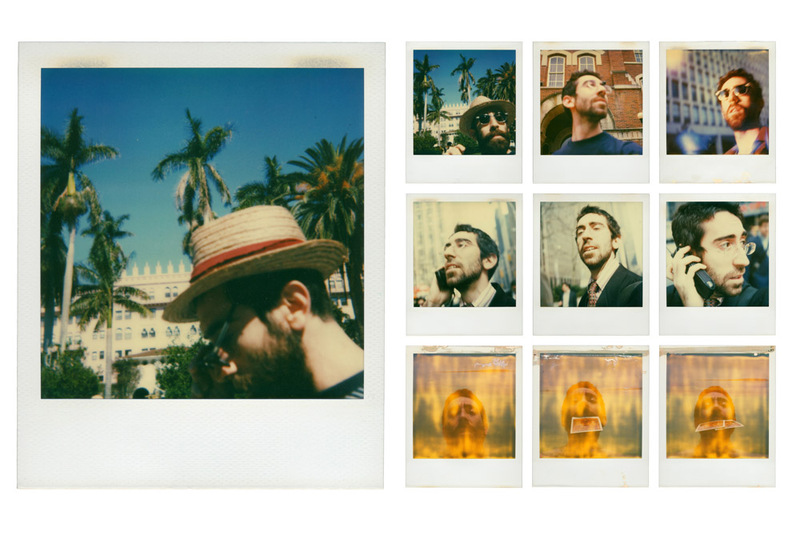 I took a Polaroid self-portrait every day for ten years and one day. I began doing this more than 5 years before YouTube came into existence. 10 years before Polaroid stopped selling instant film. 14 years before Oxford Dictionary added “selfie” to the lexicon. If laid side by side, the photographs–documents of daily performances—would span over a quarter of a mile, or nearly 4 football fields. Along the way, there were several exhibitions and meta-performances, like this one at the Walker’s Point Center for the Arts, a third of the way into the ten year long performance. After digitizing the images, the once analog artifacts were embedded with metadata, such as color of clothing, places, interior or exterior, other persons appearing, smiling, etc… The metadata allowed sorting by thematic categories, making possible a series of taxonomies. 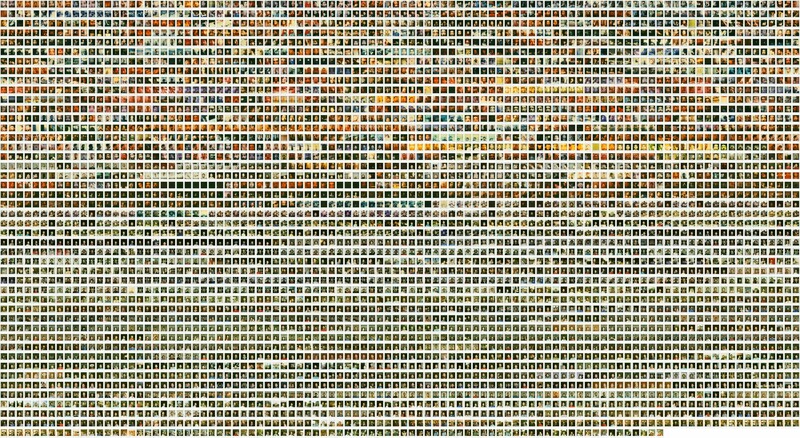 4,583 Polaroid self-portraits taken on 3,654 consecutive days (July 24, 1999- July 24, 2009). SX-70 and 600 Polaroid Film. Approximate area 480 sq feet or installed as 40’x12’. 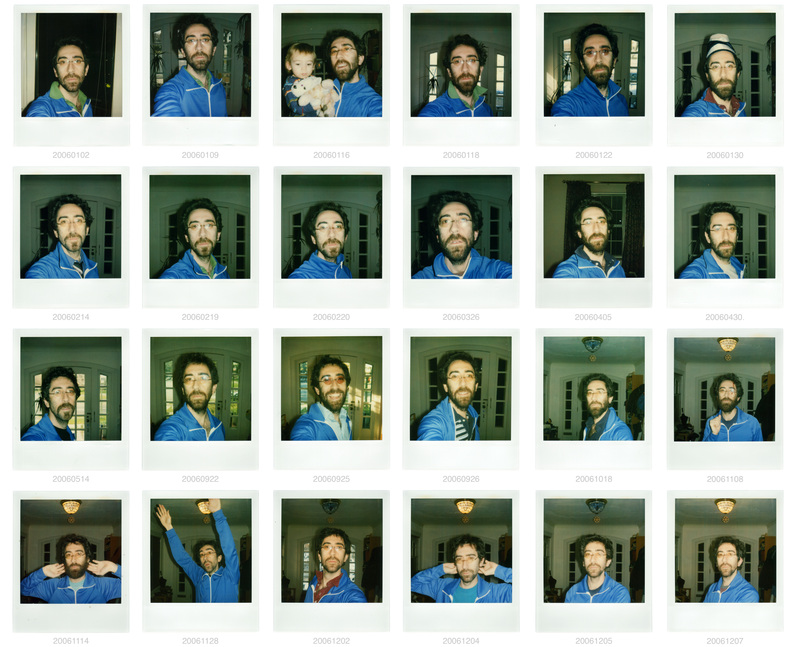 Taxonomy from 2006 of Polaroids on days in which I wore this particular blue track jacket. From the Ten Year Polaroid project (July 24, 1999- July 24, 2009). 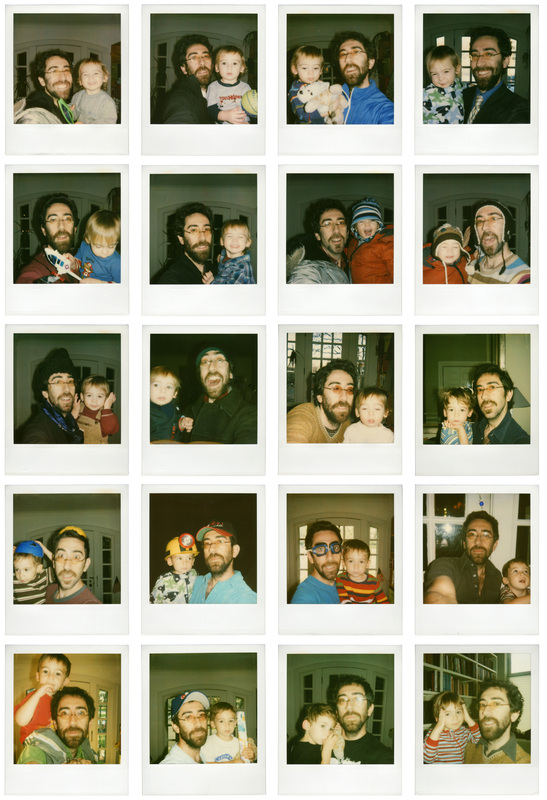 Taxonomy from 2006 of Polaroids on days in which I photographed myself with my son. From the Ten Year Polaroid project (July 24, 1999- July 24, 2009). Father and Son (2006). Polaroid 600 Film. Scanned and printed as 11×14” giclée (2009). Taxonomy from 1999-2000 of Polaroids on days in which I photographed myself in visually striking or exotic locations (places). From the Ten Year Polaroid project (July 24, 1999- July 24, 2009). Places (Boca Raton, Hyde Park, Lower Manhattan, Dead Sea) 1999-2000. Polaroid SX-70 Film. Scanned and printed as 11×14” giclée (2009).